For the past 11 years, NIHONGO FIESTA 2016 has been a successful and highly-anticipated event for Japanese learners and Japan-culture enthusiasts in the Philippines. The event on February 27, includes The 43rd Japanese Speech Contest which provides the contestants from as far as Cebu and Davao an avenue to express their Nihongo fluency through their own original composition on a theme of their choice. Both the Champion and the Outstanding Performance Awardee will be granted an all-expense paid, week-long study tour in Japan. 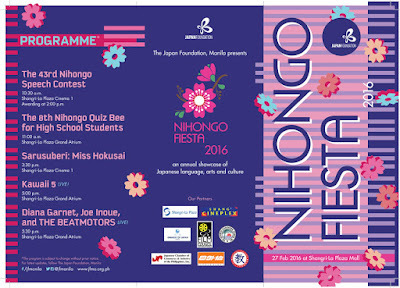 Also included in the program is the 8th Nihongo Quiz Bee for High School Students. Watch as 42 students from different high schools in the country outsmart each other in the field of Japanese language and culture. 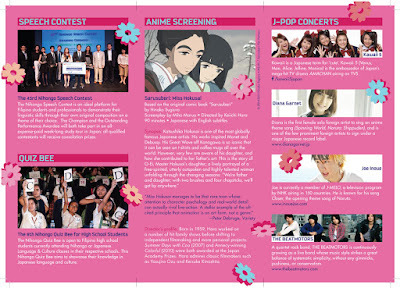 As a special treat, a free screening of the movie Sarusuberi: Miss Hokusai and live performances of the local Japanese Pop (J-Pop) inspired group Kawaii 5 and US-born and raised J-Pop artists Diana Garnet and Joe Inoue, who learnt Japanese through Japanese pop culture and anime will appear on stage for the talk and music live session. The following day, Diana and Joe together with THE BEATMOTORS are scheduled to amaze the crowd at SPINNING MANILA: J-POP LIVE! 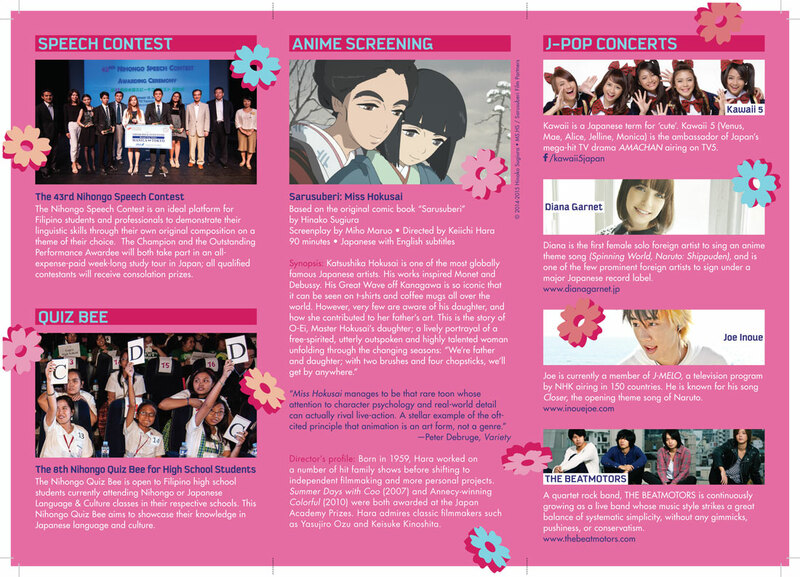 – a lively celebration of J-Pop, anime and manga. Diana is an American recording artist and J-Pop enthusiast best known for her song used in the famous anime Naruto Shippuden. Likewise, Joe Inoue has had a hit single recorded for the same anime. Aside from singing, Joe also produces and does musical arrangements and sound engineering. Completing the roster of performers is the up-and-coming rock back THE BEATMOTORS. Audiences are encouraged to come to the concert in cosplay. Winners of the ongoing Spinning Manila: Facebook Cosplay Photo Contest will be announced at the concert. 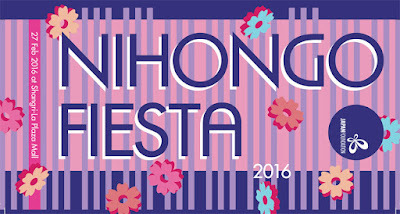 The Nihongo Fiesta 2016 is supported by the Shangri-La Plaza Mall, the Shang Cineplex, the Film Development Council of the Philippines (FDCP), the Embassy of Japan, the Japanese Chamber of Commerce and Industry in the Philippines, Inc. (JCCIPI), The Japanese Association, Manila Inc. (JAMI), the Japan Overseas Enterprises Association (JOEA) and the Association of the Filipino Nihongo Teachers (AFINITE). All events are open to the public. For details and inquiries, please contact the Japan Foundation, Manila at +63 (2) 811-6155 to 58; email@jfmo.org.ph or visit the Japan Foundation, Manila website (www.jfmo.org.ph) or Facebook page (www.facebook.com/jfmanila).